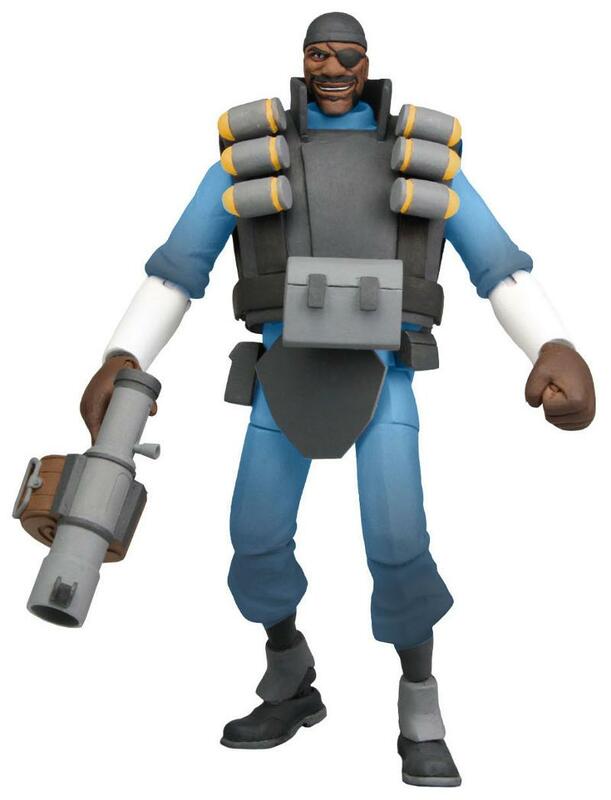 You are here: NECAOnline.com » Blog » News And Announcements » Team Fortress 2 BLU Demoman & Pyro Deluxe Action Figures Available for Pre-Order! it’s time to get BLU! 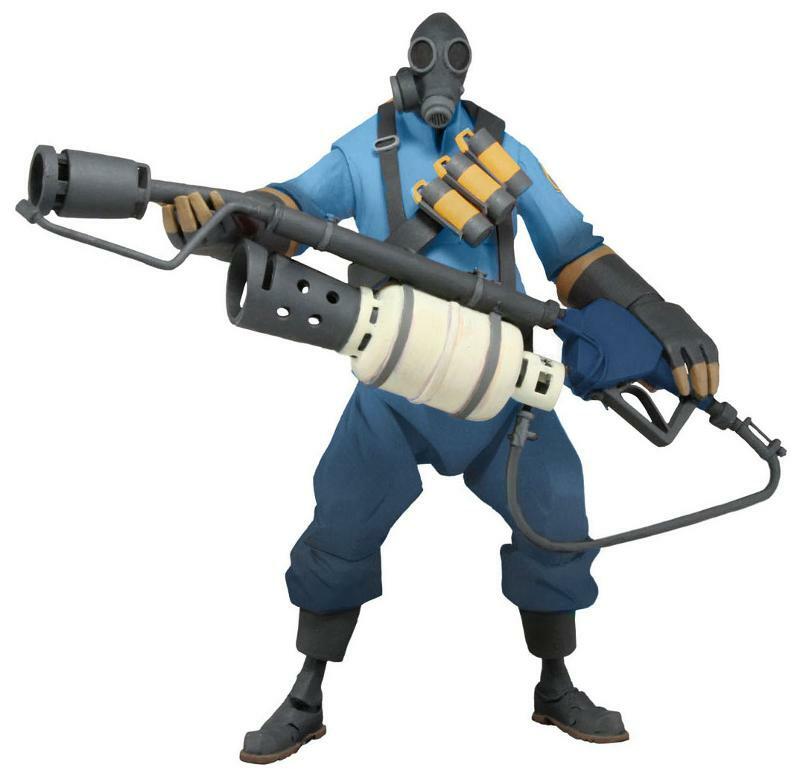 From one of our very favorite titles in the Valve catalog come these brand new TF2 Series 1 BLU Deluxe Action Figures! BLU stands for “Builders League United,” but it also just happens to be the colors you wear when you square off against Team RED (“Reliable Excavation Demolition”) in Team Fortress 2. Our Series 1 RED Demoman and Pyro figures are shipping now and should be on shelves later this week, so let’s take this chance to get acquainted with Team BLU, shall we? Like their sold-out crimson compatriots, Series 1 BLU Demo and Pyro are LIMITED EDITION. We’ve made a mere 10,000 of each deluxe figure, and both figures come with codes to unlock exclusive in-game bonuses. So not only do you get an awesome figure, but you get more of the game, too! Pyro and Demoman are re-created here in their Builders Leagues United (BLU) uniforms. The 7″ scale figures feature over 25 points of articulation and include their signature in game weapons and accessories. And don’t forget to check out our Pyro and Scout plushes and the whole Team Fortress 2 collection! Stay tuned for more to come on Team Fortress 2 and all your Valve favorites! For exclusive updates and behind-the-scenes sneak peaks, keep up with NECA on Facebook, Twitter and Google Plus!